Who doesn’t want a little more grace in their life? Who doesn’t want to be inspired and equipped to give a little more grace to their kids? So, Courtney and I thought, "How about this? Let’s give away a few more awesome things that will help parents captivate their kids hearts with God's extravagant grace!" Because FREEDOM is what we want. And FREEDOM is what we get in Jesus Christ. 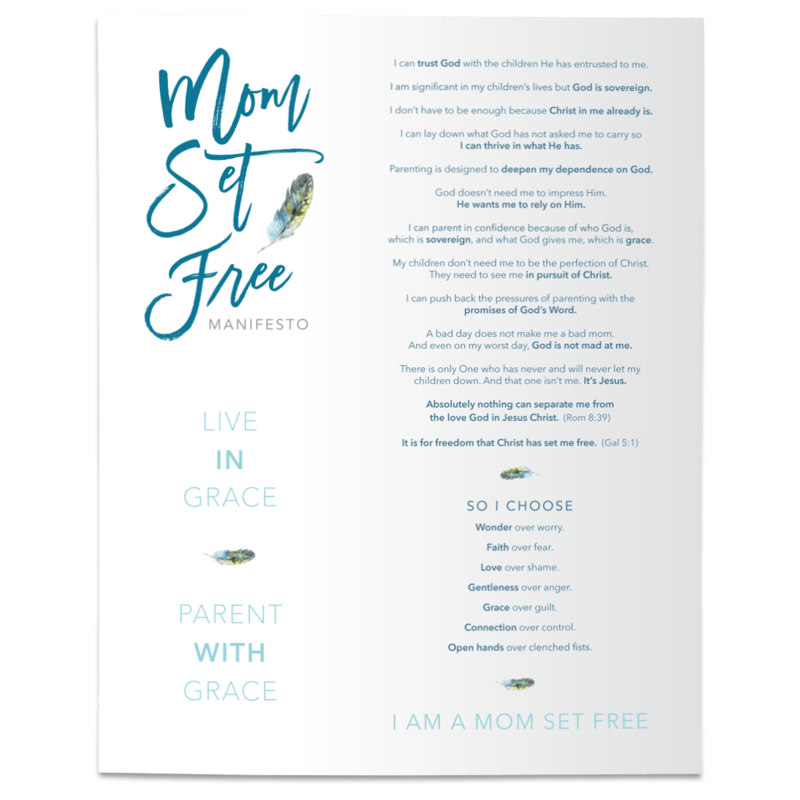 We want freedom from the crushing burden of trying to be a perfect parent raising perfect kids. We want freedom from the despair of always falling short! And we want to know and experience (really experience!) the grace that inspires and equips us to love and forgive and accept our children just as God in Christ has first loved and forgiven and accepted US! Moms (& Dads!) Can I just tell you how very much I want us to experience what it feels like to live from the freedom found in being wholeheartedly loved by God? And how the wild love of our awesome God can FLOW through us to our kids - how we can be an instrument of grace in their lives. For the next 3 days you have the chance to win a few of my favorite things that will encourage you in your journey of raising Wholehearted Kids. And, they all happen to be things I mention in my book as awesome resources! * This beautiful canvas created by my good friend, Jillian Cartwright. This is the “wholehearted child” verse that I pray over my kids every morning before they leave for school. It hangs in our kitchen as a reminder that grace is our starting place. * ABC Scripture Cards by the one and only Courtney. These are all over my house, people, and I LOVE them. * Jesus Storybook Bible by Sally Lloyd Jones, because it’s the best children’s Bible on the planet. * Praying the Scriptures for your Children by Jodie Berndt, because there is no greater gift we give our kids than our prayers! You will LOVE this! So here’s how you enter! YOU HAVE THREE OPTIONS! If you’ve already bought (or won!) the book, simply SHARE this post on your own FB page or twitter feed with one of the share buttons below, THEN comment below to let me know you shared it! If you already read the book, simply SHARE a sentence or two about how the book has encouraged you in the comment section below! That's it! SO ENTER BELOW (after buying the book or sharing this post or telling me what it has meant to you!) and then tell me which one you did in the comment section below. Let's do this!! TOGETHER we ("we" being all of us imperfect moms) can encourage each other in God's perfect love for us in Christ! WE HAVE OUR WINNERS! If you won a prize, please email your mailing address to me at info@jeanniecunnion.com. Thanks to everyone who participated. Another great giveaway is coming next week!